What do I need to use mobile broadband? Can I use mobile broadband abroad? Can mobile broadband be used instead of home broadband? How can I check mobile broadband coverage in my area? Are there any downsides to mobile broadband? Can I cancel my mobile broadband account? What happens if I cancel a mobile broadband contract early? Mobile broadband is high speed internet access via mobile networks. Mobile internet technology allows you to do all the things you usually use your broadband connection for without needing a fixed-line telephone connection. This means you can get online on the move (on public transport, for example) or away from home (perhaps on holiday or at uni). Send email, visit websites – even watch streaming TV clips and download files – it's all possible. Mobile broadband uses the same signal that serves mobile phones. But you’re only using it for internet access, not voice calls. Mobile broadband can be accessed using either a small portable USB modem (often called a dongle or stick), a built-in device on some laptops and tablets, or a mobile Wi-Fi (aka MiFi) unit. USB dongles require a compatible desktop or laptop computer. 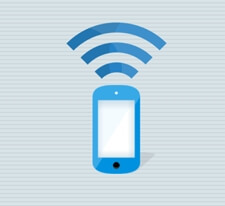 Mobile Wi-Fi will work with any device that supports wireless networking. Some mobile internet tariffs have a block on them so it's only possible to use them within the UK (this is common with PAYG deals), but if not you can use them in any country support by your mobile broadband provider. Prices have come down a lot in recent times - especially in Europe where roaming is now free - but it can still be an expensive hobby. See our guide to using mobile broadband abroad for more information, or our useful mobile broadband roaming tool for an overview of the costs worldwide. Mobile broadband is not unlimited. At this time all mobile internet deals have a data usage limit - the more you pay, the higher the cap. When buying a mobile broadband service it’s important to think about potential usage. Choose a data cap that’s too high and your money is wasted, but go too low and you could be hit with extra fees for exceeding the limit. Our guide to mobile broadband data usage can help point you in the right direction. 3G and 4G refer to generations of mobile technology. 3G was first to offer broadband speeds over a mobile network. 4G is the latest iteration of mobile networks and provides vastly improved connection speeds. Should I get 3G or 4G mobile broadband? If you’re buying a new mobile broadband service it’s best to go with a 4G device as it’s significantly faster. And although 4G networks are not as widespread right now they are expanding all the time, and you can still use 3G when there’s no 4G signal. Our guides to 3G dongles and 4G mobile internet have further information if you’d like to learn more. Mobile broadband - especially 4G - is fast enough to be a viable alternative to fixed line home internet. But for many people it will not be the best option, largely due to the relatively low data limits. Unlimited home broadband is far better for heavy users and shared homes. If you’re interested in finding out more we have a guide to using mobile broadband at home. Mobile internet is a great option for people who travel a lot, or have a long commute to work and need to make the best use of their time. You can get online anywhere with good coverage, making it great for business people. Smartphones are great, but why fiddle around on a small screen when you can work on your laptop? Mobile broadband is also popular amongst subscribers who don't have a fixed residence, such as students. This is because you can pay for one service but use it at home, in digs, in the library – even in lectures. Also, with lots of pay-as-you-go (PAYG) options, you don't have to sign your life away. Thanks to mobile Wi-Fi, you can even share your mobile broadband connection! It’s very important to check there’s a strong signal before buying mobile broadband. Weak signal will greatly impact the performance, or there may be no coverage at all. Read our guide to mobile coverage for more help with this topic. There are currently two main possible downsides to mobile broadband: stability/coverage and usage allowances. You need to realise that, despite its popularity, mobile broadband is still a little behind home broadband. The technology is improving all the time but right now it isn't always a smooth ride. If you require a guaranteed stable, fast connection, you're probably best advised to look for a fixed-line broadband solution – although mobile broadband is a brilliant back up even then. Speed can also be an issue for some. While advertised 3G speeds currently range to a max of 21Mb, the reality for most people is something in the region of 5-10Mb. While this should be fine for the basics, such as web surfing and emailing, you may struggle with tasks such a big downloads (where download limits may also be a factor), streaming video and audio (such as using Spotify or the BBC iPlayer) or gaming. 4G is changing this, with speeds of up to and over 20Mb now a reality in parts of the UK. However 4G is still relatively new and even with faster speeds, stability and coverage can be an issue. You will also need a device which supports 4G, so a hardware upgrade could be required. Every mobile broadband provider is different, so it's vital you check the terms and conditions of a contract before committing. Some mobile broadband operators offer a 'cooling off' period of around two weeks. If you’re unhappy with the level of service, or the network performance, you should be able to return your dongle and cancel your contract without having to pay extra. If the internet service provider you've chosen doesn't offer this, remember that if you buy online you are covered by the UK's distance selling regulations. This means you can return the product within seven working days if it does not meet your expectations. If you want to cancel your mobile broadband before the term is up, you may be responsible for paying the remaining fee for your subscription. This may be waived in exceptional circumstances (such as moving location), but providers deal with these on a case-by-case basis. Unfortunately, stopping payments altogether is very rare. If you're completely new to mobile broadband, there's always the option of going pay-as-you-go initially to try the service, before you commit to a lengthy contract. Will I be able to use my mobile broadband account abroad?